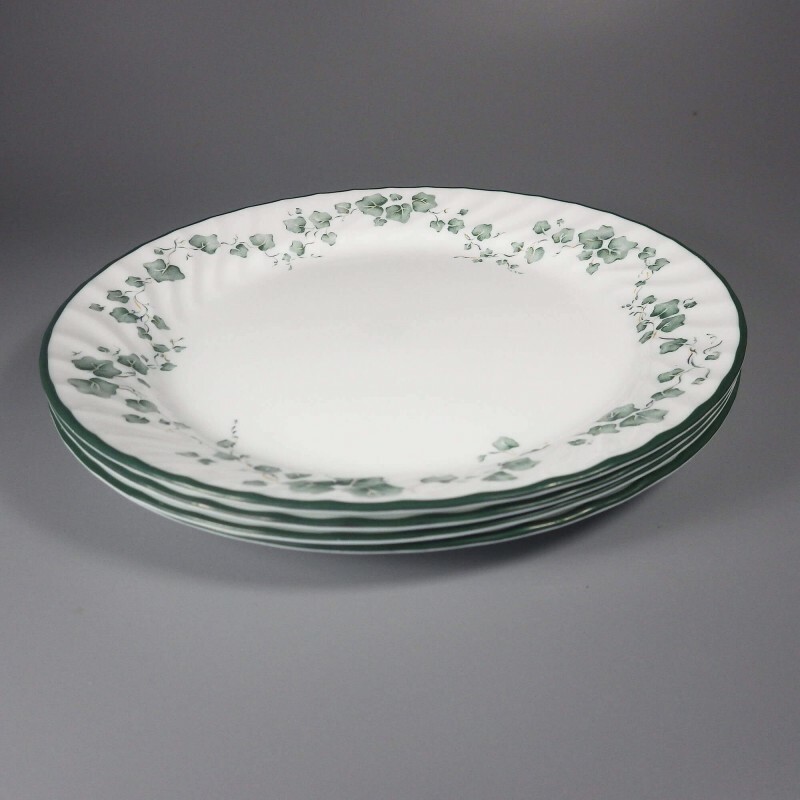 Set of four vintage Corelle Callaway Ivy dinner plates with a swirl scalloped edging and a delicate wreath of pale green ivy leaves that circle the outer edge of the plate. 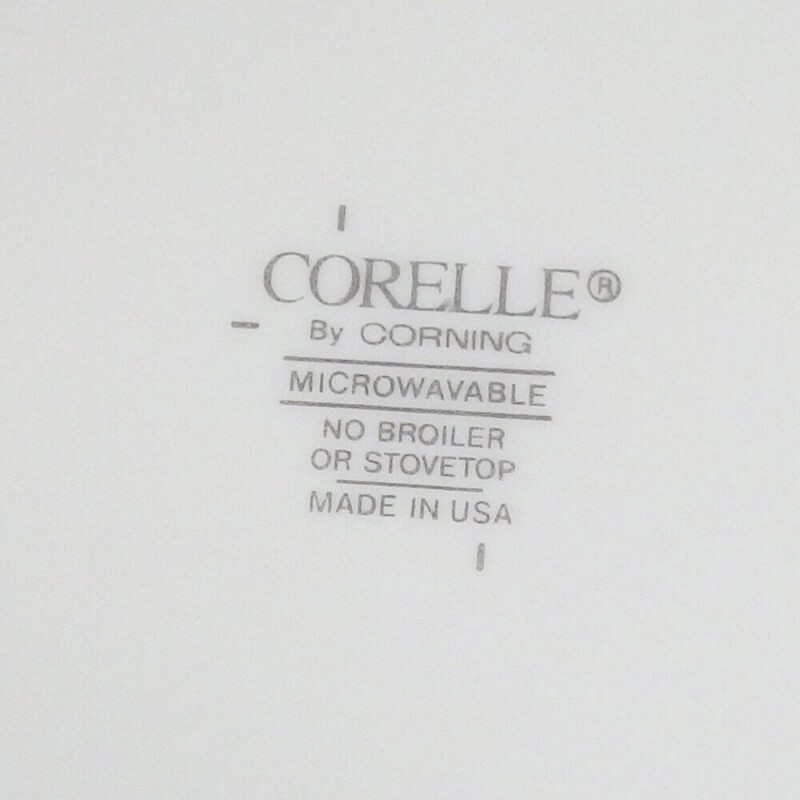 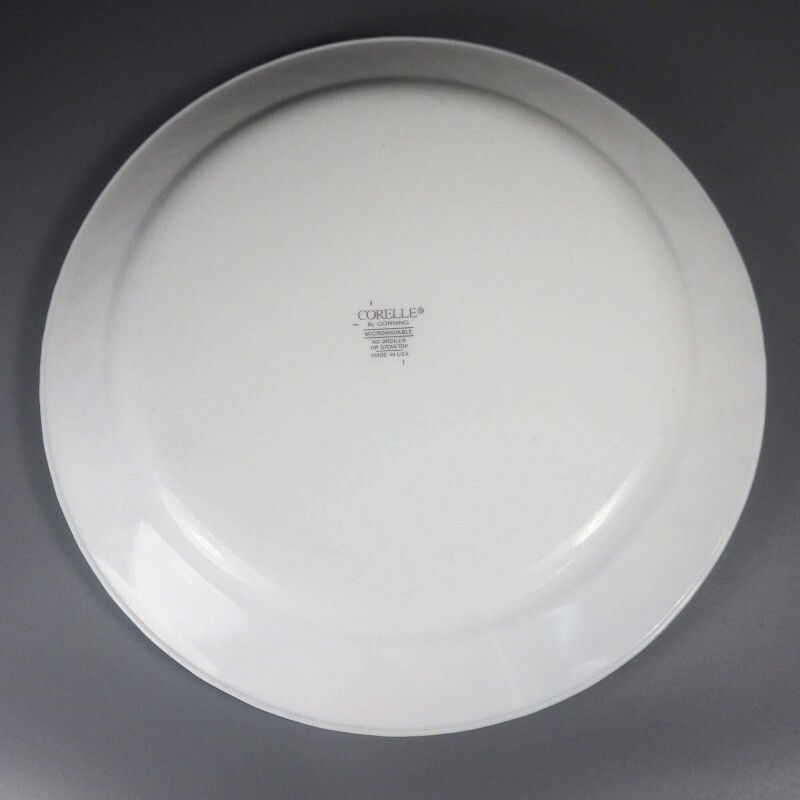 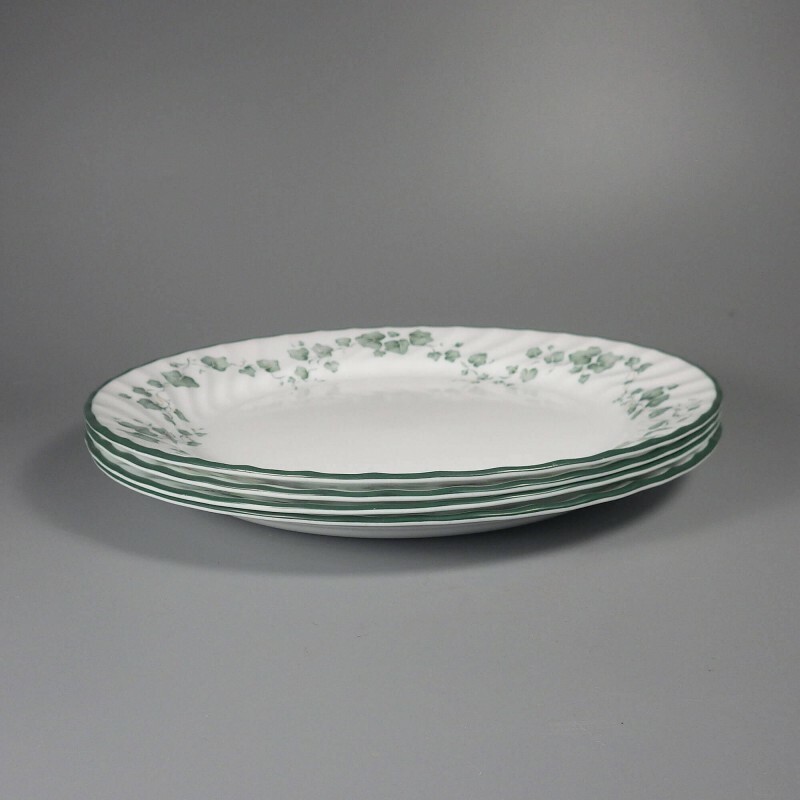 Microwave and dishwasher safe, this plate style was issued by Corelle from 1995 to 2015. 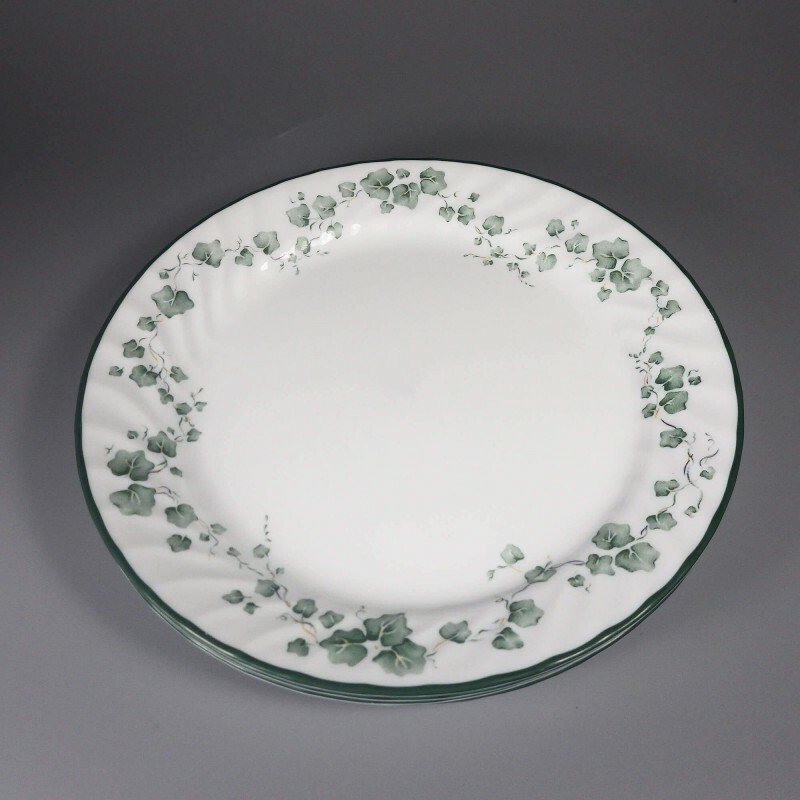 Plates measure 10" in diameter.